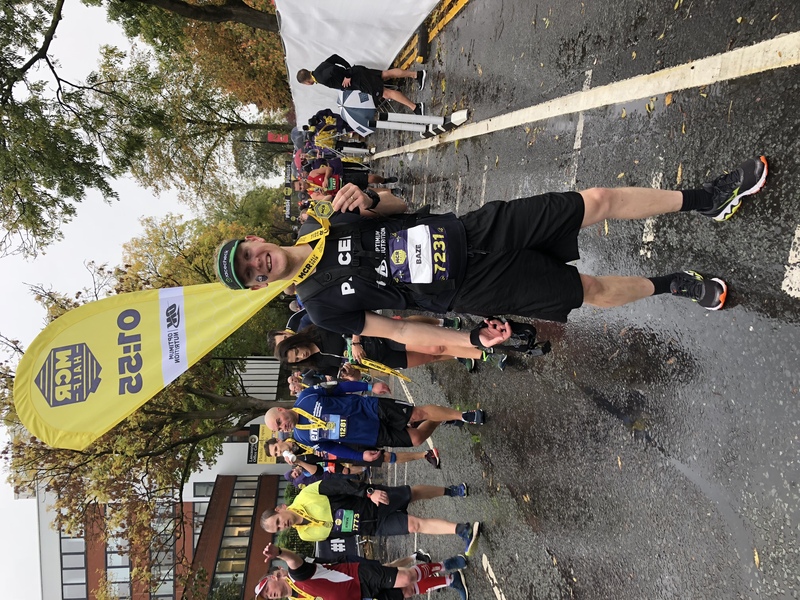 This year I chose The Manchester Half Marathon as my autumn pacing event where I lead the 1 hour 55 minute group, are you ready to be motivated? 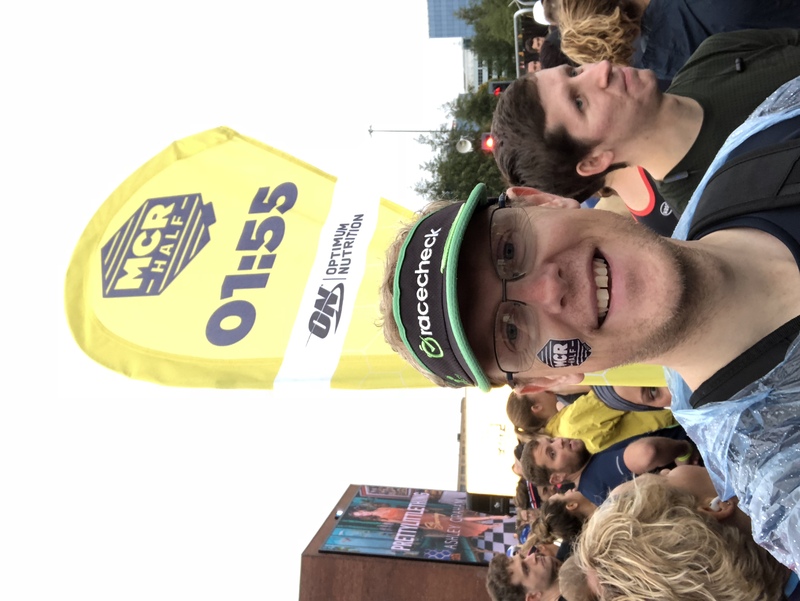 The Manchester Half Marathon is a race I’d never done before but I’d heard good things about the flat route which would make it a great course to pace on. 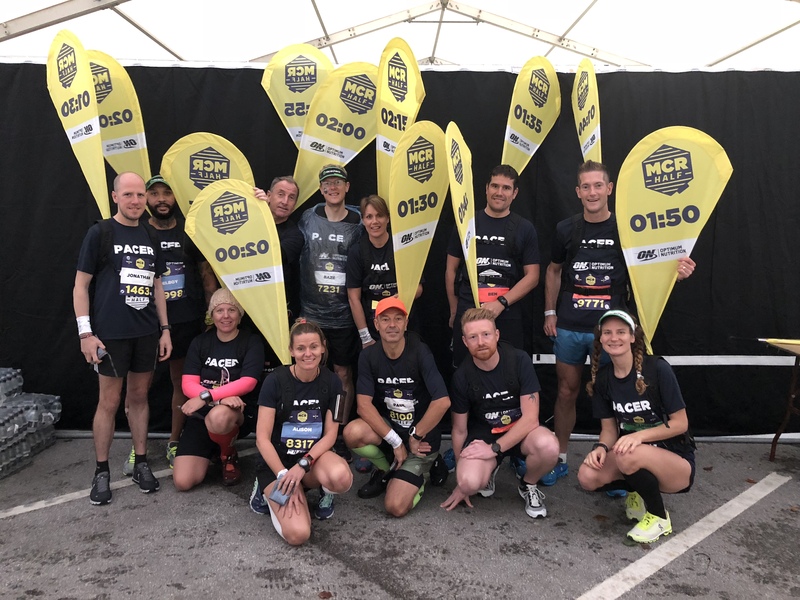 Manchester really spoiled the pacers on this occasion, the race sponsors provided some extra goodies in Optimum Nutrition Gold Pack & On Running Cloud Flyer trainers. I pace to help others but I was really grateful for some free kit as Manchester is a long way for me. To break up the journey my family & I set off the day before to Warwickshire, where we met Delroy & Michele. Del was pacing 2 hours & Meesh was Running for her first sub 2 hour half. We met for lunch at The Dun Cow & had a great time chatting. 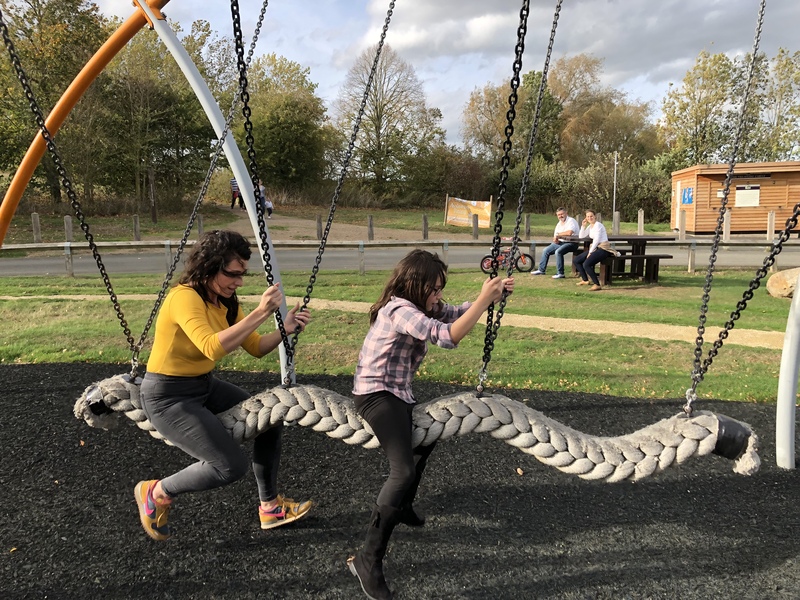 Then we headed to Draycot Water for some playground fun. 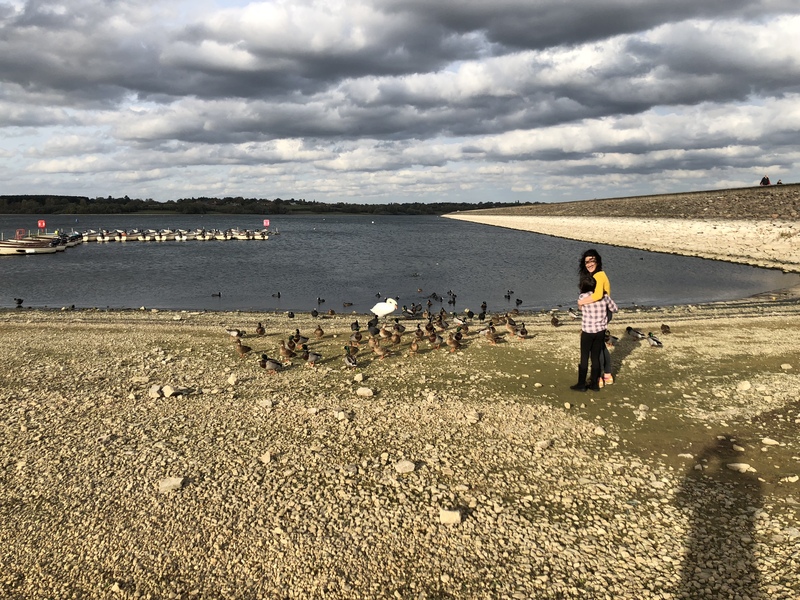 It was really good fun, I love hanging out with Del & Meesh anyway but as runners it’s usually before & after a race, & I really loved hanging out with them just as people doing something normal. My family then headed home & I spent the night at Del & Meesh’s place, where me & Del went live on my YouTube channel to give some pacing tips. Meesh made us an awesome pasta dinner & it was an early night for me. 04:30 🕟 on Sunday morning the alarm went off, we all dragged ourselves up & hit the road, snagging a drive through breakfast & coffee to wake us up. I was so glad I bought a poncho to keep the rain off in the start pen it really helped keep me warm & dry. The start pens were packed, this was clearly a popular race which sold out early & we were set off in waves. As overs we were give. Really specific instructions on which one to go to & where about a in the pen we were to stand. This was great it evenly distributed us along all pens & was meticulously planned by the organisers. … & we were off where I had to do 08:45 per mile pace to achieve the 1 hour 55 minutes finish time. I tend to go a shade faster than required to give runners a buffer at the end in case the fade, but I have to strike a fine balance as too much of a buffer is too much for them & would be detrimental to their race. 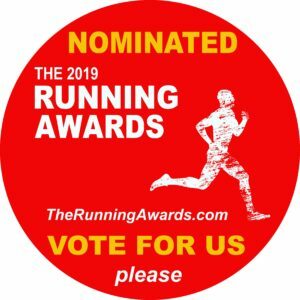 I think a video tells it better than my words so here’s how the race went & how the pacing group got on, you’ve got to watch to the end & see how well they all got on. The race was fantastic, well organised, flat as advertised & the medal was brilliant. I then made my way back to the pacing tent & it was raining hard & I was getting cold but when I got back Del was already there. This really confused me as I knew he was pacing 5 minutes behind me. It transpired he’d picked up an injury & pulled out at mile 3. I felt gutted for him as it’s never good to DNF a race but it’s even more gutting when you’re supposed to be delivering the pacing service & can’t. This had happened to me at the Great North Run 2017 & I hated it. 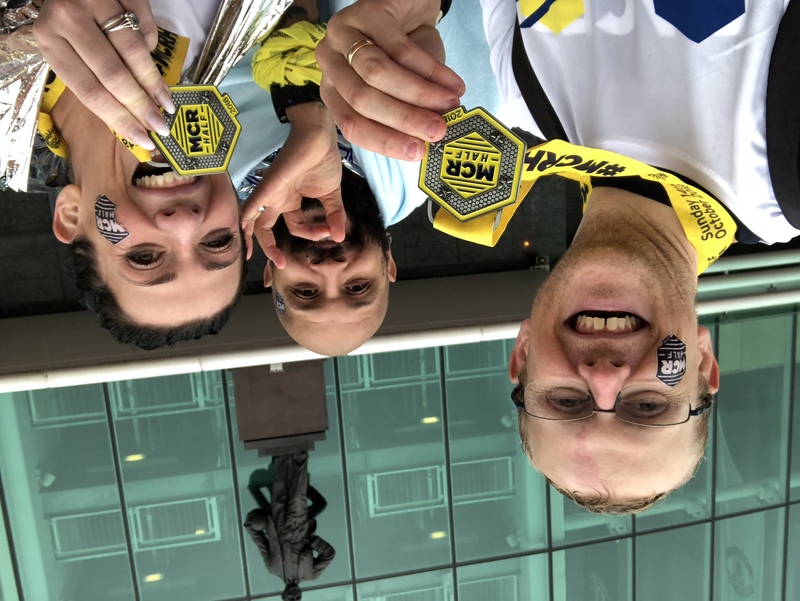 Del really struggled to walk back to the car & was in pain but he was so selfless telling me & Meesh we should still get some photos on route, he even made light of his situation posing on a ‘finisher medal’ selfie. Delroy is now injured so please click his name & send him some love on Instagram.